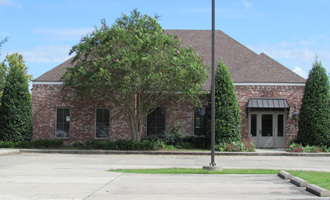 Practicing family dentistry for over 20 years, Charles White brings his caring expertise to the Lafayette, LA area. Your friendly family dentist serving Lafayette, LA since 2005. Charles White provides a lifetime of beautiful, healthy smiles. Our team is experienced dealing with families and children while providing premium care to individual patients as well. When it comes to choosing a dentist in the Lafayette, Louisiana area, you should strongly consider Dr. Charles White. Dr. White and his team of caring dental professionals are committed to providing families with compassionate care that is as comfortable and painless as possible – while upholding the highest standards of dentistry. 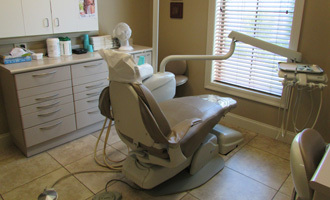 We strive to make each patient’s dental experience relaxing and stress-free. Our entire team is friendly, helpful and dedicated to providing the kind of gentle, personalized care that you deserve from your general dentist. Dr. White is an accomplished family dentist who gained ten years of experience practicing dentistry in New Orleans before returning to his hometown of Lafayette in 2005. Since then he has earned a reputation as a family dentist who combines excellent dental skills with the compassion and gentle care that his patients deserve. Whether you are looking for a family dentist or a general dentist for your own dental needs, Dr. White and his team are an ideal choice. Our team has a great deal of experience in dealing with families and children – and we offer the same friendly and gentle care to individual patients as well. Dr. White and his staff offer a full range of dental care, from teeth cleanings to whitening treatments, fillings, root canals, crowns, bridges, implant crowns, dentures and more. We provide all of the dental care you and your family may need throughout every stage of life. So, if you are in need of a dentist, you can trust Dr. White to provide a lifetime of beautiful, healthy smiles. It's for you because you're worth It! Contact Dr. White's office today to schedule a consultation and find out which treatment is best for you! One of the easiest ways to maintain a healthy smile is through proper brushing and flossing and regular professional maintenance. Scheduling two professional cleanings with Dr. White each year is a simple way to keep teeth free of tartar and plaque, and allows us to do a quick inspection of your teeth and gums to look for the early onset of any issues you may have. There are many ways we can give you a youthful, attractive, natural looking smile! We can brighten your smile with our powerful whitening treatments that lighten discolorations caused by coffee, cigarettes, medication, or aging. A dazzling smile isn’t just for celebrities any more. It’s for you, because you’re worth it. Contact Dr. White’s office today to schedule a consultation and find out which treatment is best for you. When you have a cavity, a filling is used to seal the empty space and prevent the cavity from getting larger. Fillings can be made from several materials that last for a relatively long period of time. A bridge is one option that can be used to replace missing teeth. They literally “bridge the gap” between your natural tooth and those that are missing. They help you maintain equal amounts of stress on each side of your bite, and can assist in regular chewing and talking. Bridges can be made from gold, alloys, porcelain or a combination of these materials and are bonded onto surrounding teeth for support. Unlike a removable bridge, which you can take out and clean, a fixed bridge can only be removed by a dentist. An implant bridge attaches artificial teeth directly to the jaw or under the gum tissue. Depending on which type of bridge is recommended for you, its success depends on its foundation. So it’s very important to keep your remaining teeth healthy and strong with regular exams and cleanings. Crowns are used to cover a tooth and restore it to its normal shape and size. A crown can make your tooth stronger and improve its appearance. It can cover and support a tooth with a large filling when there isn’t enough tooth left. It can be used to attach a bridge, protect a weak tooth from breaking or restore one that’s already broken. A crown is a good way to cover teeth that are discolored or badly shaped. It’s also used to cover a dental implant. Crowns can be made from a variety of materials, including metals and the more natural looking porcelain. A consultation with Dr. White will help you decide which type of material is best for you. The purpose of root canal treatment is to create a protective barrier to encapsulate the tissues (nerves) that surround a tooth’s root once they have degenerated. The process ensures that the tooth will maintain a healthy status despite the fact that the tooth’s nerve has undergone degenerative changes. The process of root canal treatment removes (as thoroughly as possible) bacteria, nerve tissue and organic debris left over from the breakdown of nerve tissue, as well as bacterial toxins. Once this space has been cleansed, we fill in and seal up the interior of the tooth. A majority of the time, once a tooth has undergone root canal therapy, a crown must be placed to further strengthen the tooth and protect against breakage. Dentures are used if you’ve lost all or most of your natural teeth. With so many advances in modern dentistry fewer people need to wear full dentures. If you have older dentures or think you may need dentures, you are in luck!!! Denture technology has never been better. We can replace worn out dentures with custom made, state-of-the-art dentures that will look as natural as possible, even down to the fillings. If you are missing one or more teeth, you’ll want replacements that are as natural and functional as possible. If dentures don’t work for you, you may consider dental implants. Unlike dentures, which can be removed, implants are permanently anchored into the jaw. Your dentist and oral surgeon will determine if you are a good candidate for dental implants. With implants, you get a perfect fit, and they will look and feel as good as (or better than!) your original teeth.